You can create an attractive garden that will attract birds, butterflies and other wildlife anywhere. A house, apartment or condominium balcony with potted plants can bring in butterflies and hummingbirds. A small garden patch or a large farm will attract wildlife, depending on where you live. Start by planting trees and shrubs native to this part of Georgia. This includes native flowers that can be grown in pots and baskets as well as in the ground. The Ruby-throated species is native to Georgia although other hummingbirds fly to the state during the fall and winter months. 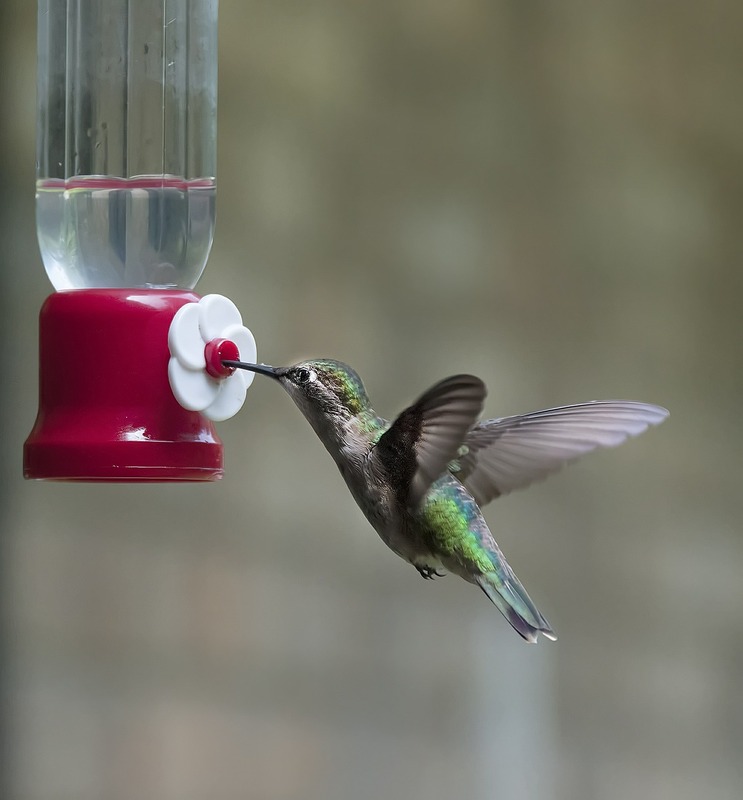 According to the Georgia Department of Agriculture, hummingbirds need flowers as well as feeders with sugar-water for food. Suggested plants for hummingbirds include coral bean, hybrid erythrina, anise-scented salvia, and anisacanthus. These delicate birds also extract nectar from members of the sage family including Texas, Mexican, and pineapple sage varieties. They are attracted to columbine and honeysuckle as well. The Georgia Hummer Study Group has more information on gardening for these popular birds. Birds, butterflies, rabbits, squirrels, and even deer can thrive in a garden that provides adequate water, food and cover. Squirrels can live in trees in your garden. They collect nuts and berries. They can be fed with squirrel corn in the fall but they will still forage for ground food. Ground cover is needed for many birds. Native grasses and sedges provide the cover for birds and rodents. A pasture or backyard planted with native grasses and wildflowers will be easy to care for and colorful during the spring and summer. The Georgia Native Plants Society schedules field trips for people interested in learning about yards and pastures with native plants. Wrens, kinglets, bluebirds, thrushes, robins and mockingbirds will be attracted to yards with native grasses and trees. A welcoming habitat includes adequate water. You can put a birdbath in your yard or add a pond or fountain. Various species of ducks that frequent the reservoirs and rivers near Arnold Mill Road may find their way to backyard ponds in the Woodstock area. Keep your yard free of pesticides. Natural grasses and native plants generally don’t need chemical weed killers that can harm wildlife. Let Hutcheson Horticultural Company create a naturalized yard for you that will attract birds and other wildlife to your home. Contact us for more details and for a free estimate!